I love nail polish! I think it’s a great touch to an outfit and show some extra effort. Also it’s great when you need to relax, since you give yourself a reason to just sit down for a few minutes while you wait for the polish to dry. 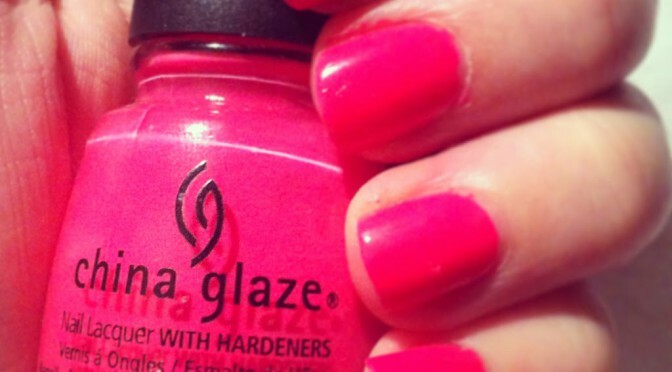 One of my favorit brands is China Glaze. Usually I can wear them for a few days before they begin to chip. I use the China Glaze First & Last base and top coat. It gives a nice shiny look and some extra hold to the polish. Right now I’m wearing a bright pink colour, inspired by the fact that I’m of to Thailand soon and almost can feel the summer already. The name of the shade, Escaping Reality, says alot about what I’m feeling right now as well. 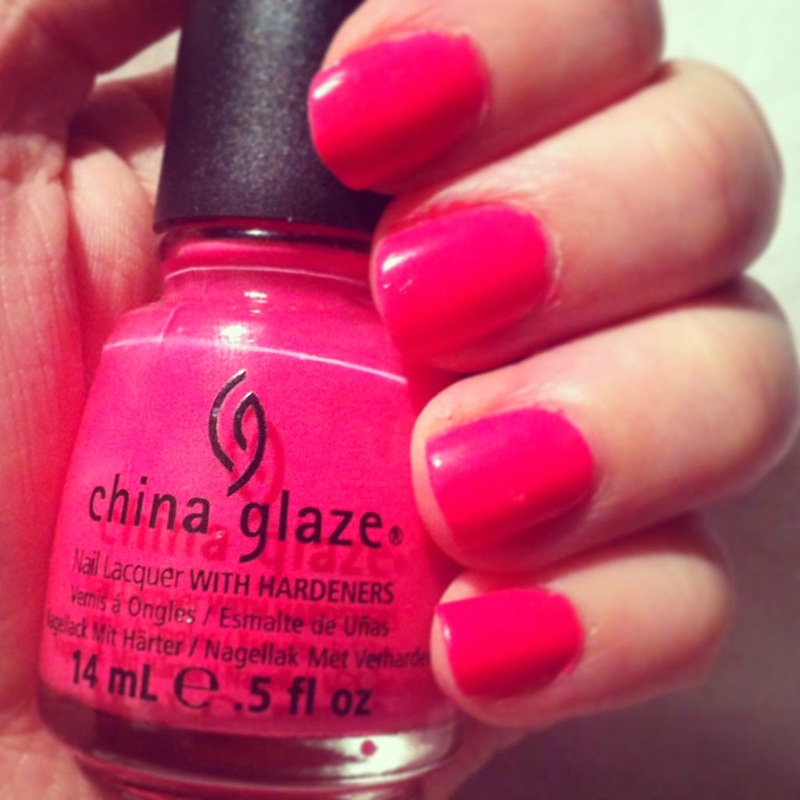 This entry was posted in Beauty and tagged China Glaze, Nails by Anna S. Bookmark the permalink.